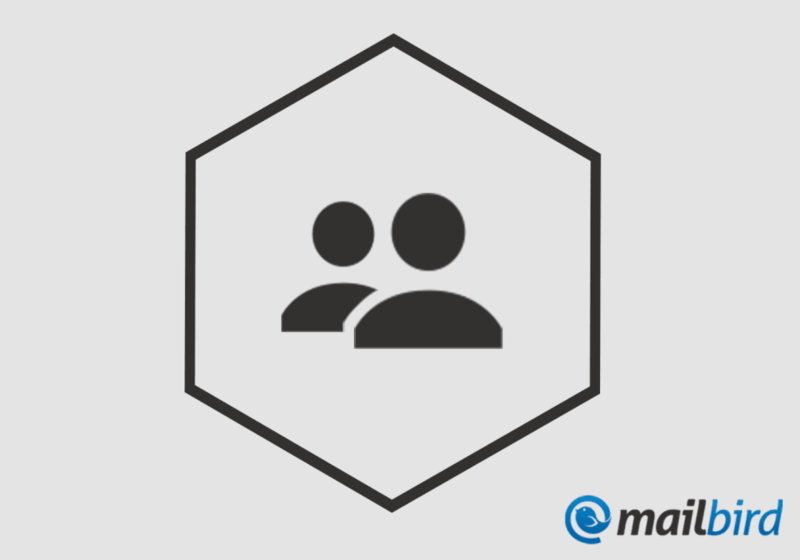 Are you tired of managing multiple accounts across different email platforms? The average person has at least two email inboxes: one for personal use and one for work. It isn’t terribly difficult to manage a pair of email addresses, but what if you have more? What if you have a personal account and multiple work accounts for different jobs? What if you have a current personal account and multiple other personal accounts from your past? Such as college email addresses or email addresses you made in your teenage years? At some point, you will probably find that disabling your older and less-used email accounts makes the most sense. In some cases, you might not even have a choice in the matter. Your college may disable accounts of former students. Former employers will probably shut down your old accounts, too. In other words, there’s something to be said for consolidating your email as much as you can. As long as you give friends, family, colleagues, and other contacts your most current email address, consolidation shouldn’t put you at risk for missing many important emails. However, if you do have three or four current email accounts, it can be a real blow to your productivity to have to check and manage all of them on a continuous basis. This statement is especially true if your emails are scattered across multiple email platforms. You have one Hotmail address, a Gmail address or two, and an old Yahoo account that you still use for some family communication. You want to keep monitoring and stay on top of all four addresses. But you don’t want to have to hop from one email client to the next, or look at four different inboxes every time you go into the mail app on your computer. What do you do? If you have been looking for a better to way to manage multiple email accounts, then Mailbird’s Unified Inbox Plus feature is the answer to your prayers. Similar to other email clients, Mailbird lets you load in multiple accounts from different providers so that you can manage them from one central hub and Inbox. Of course, you don’t have to use Unified Inbox Plus all the time. The feature does not deploy automatically, which means you can still sort and look at your individual email Inboxes separately. In some cases, these individual views are ideal. If you are at work and trying to focus on a single core project, you will protect your productivity by only checking your work email account. You can keep an eye on your work account to see if any emails about the project at hand come through. Meanwhile, you can keep your other email accounts separate and put off checking them until after you finish your current project. In other situations, it might be ideal to be able to pull all your accounts together into one central inbox. For instance, say you are someone who likes to check, read, and manage your emails in the morning over breakfast. You don’t care much about which emails were delivered to which email inboxes; you just want to make sure you see all the emails you received overnight. Pulling all your email messages into the Unified Inbox Plus makes it easier to sift through them quickly. You can delete the junk, reply to the urgent messages, and flag emails that you need to deal with when you get to work. Manage all of your email accounts easily with Mailbird’s Unified Inbox Plus. The emails in Mailbird’s Unified Inbox Plus are arranged in the order in which they were received. This organization method is best for quick email management. You can just go through the messages in reverse chronological order, taking action with each email depending on how you want to handle it. You burn through all your recently received emails at once, instead of having to hop back and forth between different inboxes. As a result, you are less likely to miss or ignore an important email, simply because you are managing all your emails in the same place and at the same time. When you click on the hexagon icon, Mailbird will open your Unified Inbox Plus. You can access and manage your personal and work email at the same time. Do you prefer viewing your accounts separately? No problem at all, you can do that at any time. Unified Inbox Plus is “just” another Inbox in Mailbird, unifying ALL of your folders. This also includes the system folders such as draft, trash etc. That’s why we named Unified Inbox Plus because it unifies more than “just” your Inbox. The Unified Inbox Plus icon is placed above your regular account icons. You can click on any of your inboxes to view them individually, if and when you decide that managing them individually will be easier or more productive. 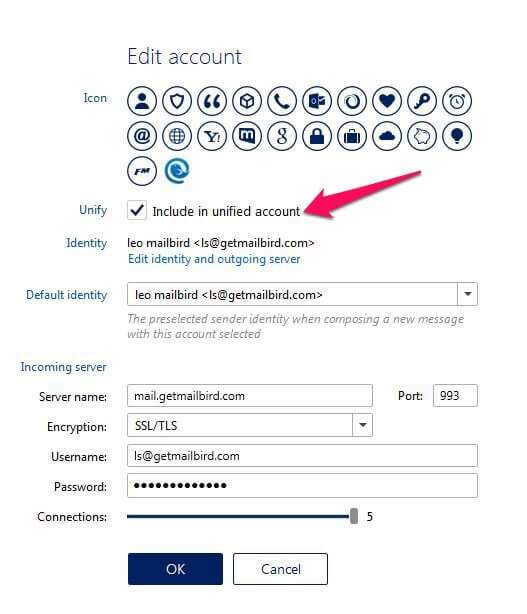 Alternatively, you can customize the settings in Mailbird to only pull certain email accounts into your Unified Inbox Plus. For instance, if you have a personal account that you use only for managing finances, you might prefer to sort through those emails separately from all your other personal and work emails. 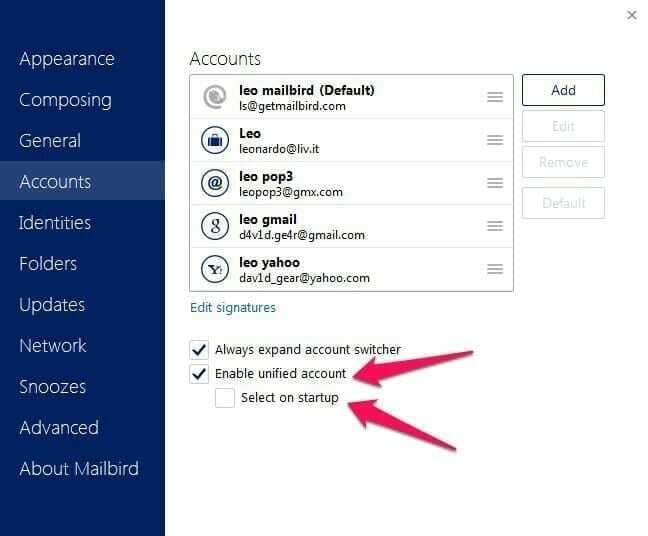 In such a situation, all you have to do is go to Mailbird Options -> select “Accounts” -> click on the account you want to remove from the Unified Inbox. An “Edit Account” box will pop up, and you can uncheck the box next to “Include in unified account” to prevent that account from contributing anything to the unified Inbox. Stop losing hours of your day switching back and forth between email accounts and trying to get them all to Inbox Zero. With Mailbird’s Unified Inbox, you can keep your separate email addresses but manage all the emails you receive in one central location. The feature makes it easier to read, answer, delete, save, or archive any messages you receive—so that you don’t miss important work emails or forget to respond to personal messages. How do you manage your multiple email accounts? Let us know in the comment section below. 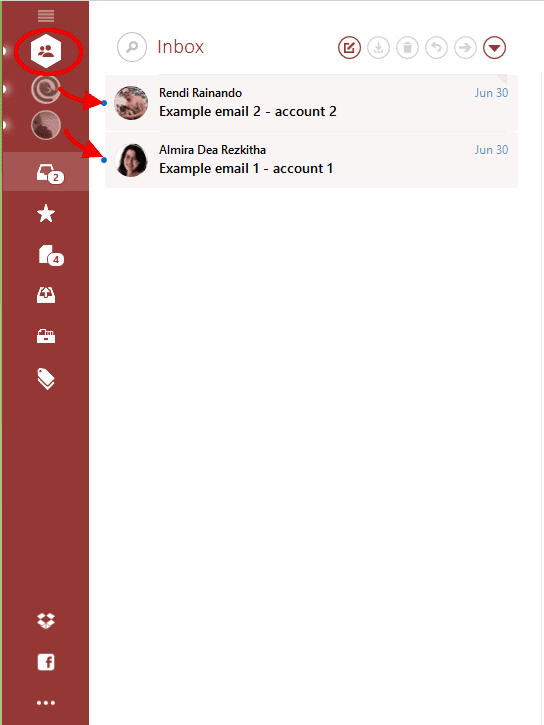 Manage your multiple email accounts in one intuitive place. 4 thoughts on "Multiple Accounts: How to Best Combine Personal and Work Email"
Unified Accounts work well, thanks. It would be perfect if you could have one set of folders for all unified accounts. How many email-adresses can I use in “mailbird-free”? I must control several email accounts.